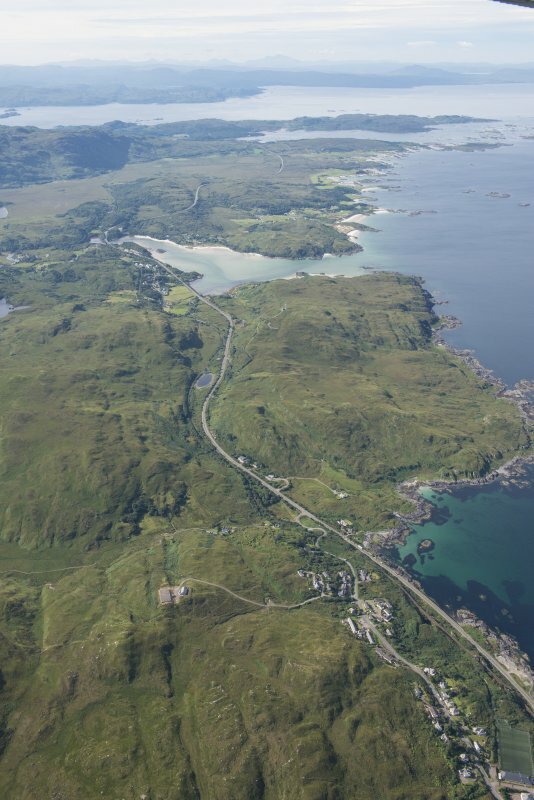 Oblique aerial view looking along the River Morar across the bridges, taken from the WSW. 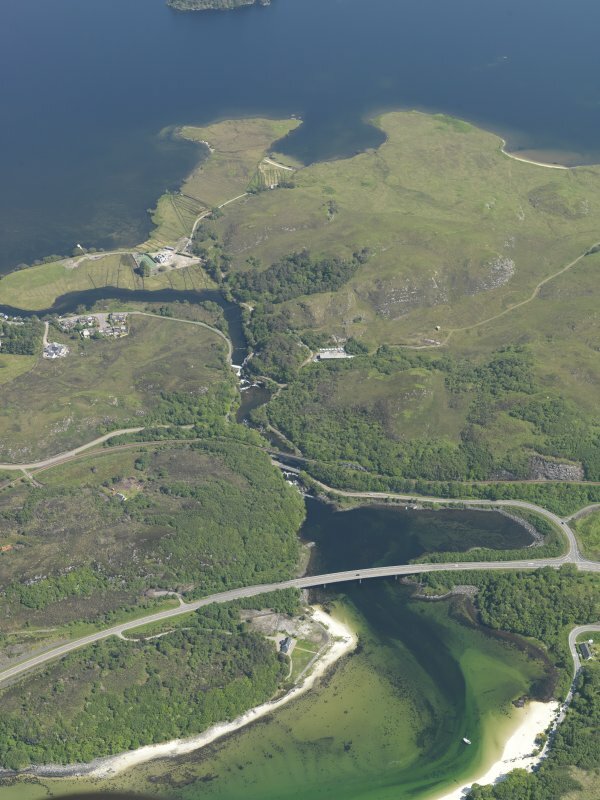 Oblique aerial view looking along the River Morar across the bridges, taken from the W.
(Listed among 'Smaller schemes'). Morar (1948): dam and power station on the River Morar. Average annual output 3 million units. This short weir has been constructed across the River Morar below Rhubana Lodge (NM69SE 23) and a short distance upstream from the viaduct NM69SE 15. 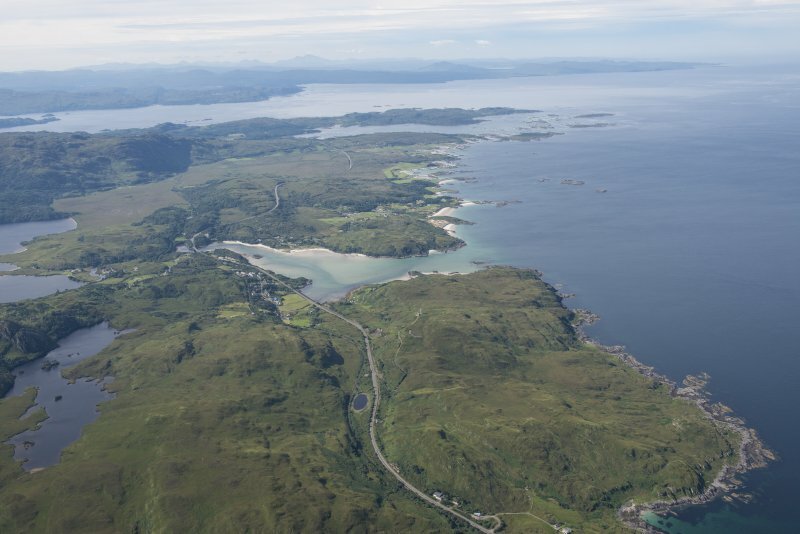 This short river forms the overflow from the extensive waters of Loch Morar, and here forms the boundary between the parishes of Arisaig and Moidart (to the S) and Glenelg (to the N). The location assigned to this record defines the centre of the weir. The location of the generating station and any power transmission equipment cannot be established from the available map evidence. Information from RCAHMS (RJCM), 28 December 2005. 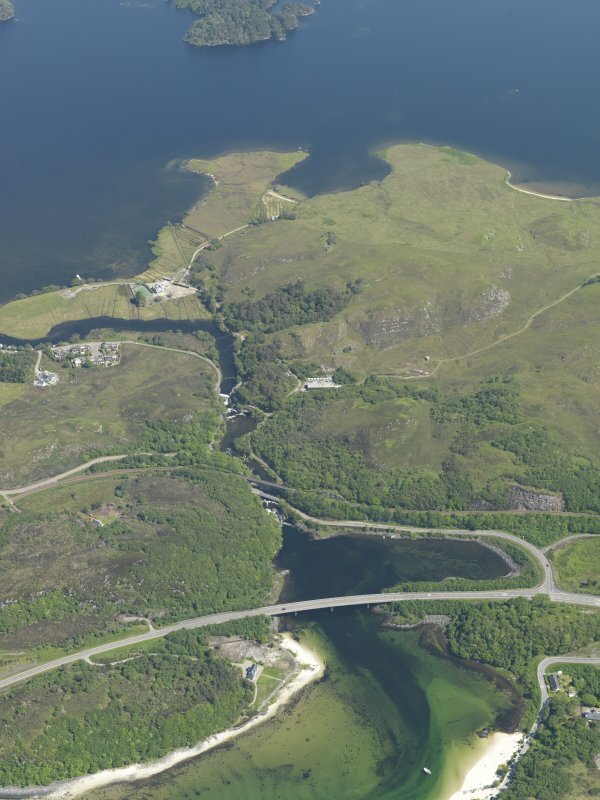 A small dam, built by the North of Scotland Hydro-Electric Board in 1948.
scheme initially raised the level of Loch Morar by only 3 ft, but owing to the falls, the operating head for the Kaplan turbines is 16 ft. There is an automatically operated drum gate on the dam spillway. A fish pass [approx. NM6829 9226] enables sea trout and salmon to surmount the dam. The capacity of the scheme is 750 kW, the smallest of the Board’s first three projects.